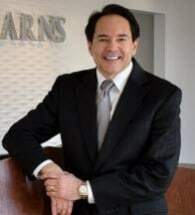 David E. Gerner is a leader in his practice areas of real estate, creditors' rights, probate and business law and is licensed in Ohio, Kentucky and Michigan. Dave has been certified by the Ohio Bar Association as a Specialist in Residential, Business, Commercial and Industrial real estate law and is AV rated by Martindale Hubbell which is their highest rating for both legal ability and ethical standards. He is counsel for many banks including US Bank, Key Bank and Huntington Bank and for numerous government agencies including Freddie Mac, Fannie Mae, FDIC, SBA and USMS. He serves Hamilton County as a Court Appointed Registered Land Examiner and is a frequent speaker, panelist, writer, mediator, arbitrator, consultant and expert witness on various real estate/title related cases and matters. He is also a title insurance agent for the six largest title insurance companies in the country and a real estate agent for RE/MAX. Dave has been married for over 30 years to the love of his life, Maureen and together they have three beloved children who were adopted from Guatemala. He is active in helping the children of Guatemala improve their quality of life through building infrastructure and reducing poverty in various ways including annual mission trips. Dave also supports local causes such as Children’s Hospital, Home Ownership Center, Adopt a Class and Brighton Center. In his spare time, he is an avid tennis player and fan and dog lover.